"Charles F. Murphy" redirects here. For the Brooklyn politician, see Charles F. Murphy (Brooklyn). For the architect, see Charles Murphy (architect). Charles F. Murphy, ca. 1903. Charles Francis "Silent Charlie" Murphy (June 20, 1858 – April 25, 1924), also known as Boss Murphy, was an American political figure, and longest serving Head of New York City's Tammany Hall from 1902–1924. Murphy was responsible for transforming Tammany Hall's image from one of corruption to respectability, as well as extending Tammany Hall's political influence to the national level. Known as a reticent politician and a first rate political chess master, Murphy would be responsible for the election of three mayors of New York City, three governors of New York State, and two U.S. Senators, even though he was never listed as a sachem of Tammany Hall. Murphy was the son of Irish immigrants Dennis Murphy and Mary Prendergrass, born in the Gashouse District, which got its name from its proximity to Consolidated Gas Company storage tanks. He was educated in the public and parochial schools, but quit school at age 14 and found a job at Roaches Shipyard, and eventually as a street-car driver for the Crosstown Blue Lines Horsecar Co. After saving $500 from the jobs that he had worked, Murphy purchased a saloon in 1878, which he named Charlie's Place. Charlie's Place became a local gathering place for local dock and Consolidated Gas Company workers, but did not serve women due to Murphy's belief that most women whom frequented bars were prostitutes. The second floor of the Saloon served as the Sylvan Social Club, composed of men, aged 15 to 20. With this social club, Murphy formed a baseball team and with all three groups, Murphy arose as a local political figure. Murphy's friend and benefactor, Edward Hagan failed to achieve the Tammany Hall nomination for district assemblyman in 1883, which led Hagan to attempt an independent campaign. Murphy managed Hagan's independent campaign, leading to Hagan's victory. Murphy was also prominent in Francis Spinola's successful campaign for US Congress in 1885. That same year, one of Murphy’s saloons became the headquarters for the Anawanda Club, which was the local Tammany Hall club; eventually Murphy joined Tammany Hall's Executive Committee. Murphy was appointed to be the Commissioner of Docks in 1897. During this period, he organized the New York Contracting and Trucking Company, which leased dock space. This became a successful business, mostly due to "honest graft" in business with the city, and Murphy gained further prominence in Tammany Hall. In 1902, Murphy married widower Margaret J. Graham; also that year, the then-current Tammany Hall boss, Richard Croker, was forced out of office due to public accusations of corruption. The accusations of corruption included stealing from the municipal treasury, which never occurred. Murphy quickly replaced Croker as Boss of Tammany Hall. Murphy did own shares of the American Ice Company during the Ice Trust Scandal, but his reputation was not tarnished. In contrast to Croker, the taciturn and teetotaling Murphy brought an air of respectability to Tammany Hall. He furthered this end by promoting a new crop of Tammany politicians—chief among them Senator James J. Walker, Rockland County Chairman James Farley, and Alderman Alfred E. Smith—who would move the machine away from the methods of Boss Tweed and toward a Progressive Era-style that rewarded the loyalty of the poor with reforms like factory safety and child labor laws. Although initially opposed to progressive legislation, Murphy realized that he could support reforms which pleased his constituency but which did not undermine Tammany's power. Because of this stance, he is credited with transforming Tammany into a political organization capable of drawing the votes of the ever-growing numbers of new immigrants from Eastern and Southern Europe, which kept Tammany in power until the early 1930s. Croker made money through "honest graft". New York Contracting and Trucking was awarded a $6 million contract in 1904 to build rail lines in the Bronx for the New York, New Haven, and Hartford Railroad. An executive at the railroad said the contract was awarded to avoid friction with Tammany Hall. In response to this contract, the New York State Legislature amended the city's charter so that franchise-awarding power was removed from the city board of aldermen and given to the Board of Estimate and Apportionment, which only recently became defunct in 1989. By 1905, New York Contracting and Trucking had collected over $15 million in city contracts. While the United States was at war in 1918, Murphy was receiving income from a firm owned by businessman Louis N. Hartog in exchange for Murphy's arranging the Corn Products Refining Company to sell Hartog's firm glucose. Hartog would then use the glucose to manufacture malt dextrine, an ingredient in beer. After investing $175,000 in Hartog's firm, Murphy was gaining $5,000 a day from the arrangement. In light of the ongoing war, the unfavorable light it would direct towards Tammany, and the amount of money Murphy was receiving, which he considered too much, Murphy attempted to withdraw from the business. Hartog sued Murphy in response, but Murphy countersued and the case was settled. Murphy guided George B. McClellan, Jr to the position of city mayor in 1903 over incumbent Seth Low. McClellan was reluctant to reward Murphy patronage jobs, but Murphy went along with McClellan's decisions. In the 1905 mayoral election, Murphy again guided McClellan to victory, this time over William Randolph Hearst. This was notable at a time when Hearst was known for ties to the progressive movement and for his organization, the Municipal Ownership League, whose goal was the promotion of the public ownership of utilities and transit lines to bring about lower rates and fares. Hearst's newspapers also attacked McClellan's defense of privately owned subways and Murphy's ties to the New York Contracting and Trucking company. 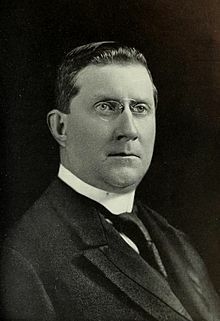 After Hearst lost the mayoral election contest, Murphy would try to appease Hearst by appearing to back Hearst for the Governorship in 1906, which Hearst would lose. In his second term, McClellan did not react kindly to Murphy's friendliness with Hearst, and during the city's $100 million drinking water infrastructure expansion into the Catskill Mountains, McClellan did not allow Tammany access to these newly created jobs. For the 1909 city mayoral election, Murphy backed New York State Supreme Court Justice William Jay Gaynor. By supporting Gaynor, Murphy was trying to unite the Democrats in Manhattan under Tammany with the Democrats in Brooklyn under Patrick McCarren. As for uniting with the city's other burroughs, the Bronx was under the control of Murphy's friend Louis Haffen, and Queens and Staten Island did not have large populations. Gaynor won the election against Hearst, and like McClellan, did not act kindly towards Murphy's Tammany. Gaynor cut the city's payroll and eliminated 400 political posts within the first few months of office. Nine months into his term, a disgruntled Docks Department employee attempted to assassinate Gaynor while he was traveling on an oceanic steamship. Murphy successfully guided John A. Dix to the governorship in 1910. To beat Theodore Roosevelt's candidate for governor in 1912, Oscar S. Straus whom Murphy expected to garner many of the Jewish votes that normally would have gone to Tammany candidates, Murphy backed Congressman William Sulzer, a Tammany politician in a heavily Jewish district. Sulzer would win the election, but Murphy would later regret his decision after the vain Sulzer starting launching investigations against Tammany contractors. Sulzer also resisted Murphy's choice for patronage positions. Sulzer would become the subject of a different investigation and, after failing to testify, gained the distinction of becoming the only governor in New York State to be successfully impeached. Following the Triangle Shirtwaist Company fire on March 25, 1911, attention focused on factory working conditions. With the assistance of his proteges Robert F. Wagner and Alfred E. Smith, 1913 became a significant year for Tammany Hall in the promotion of progressive reforms. In the city, work-place health regulations were improved, fire alarms were mandated, working hours were reduced for women, a pension system for widowers was introduced, and requirements for insurance were made more strict. At the state level, a referendum on women's suffrage was scheduled and the Public Utility Commission was provided broader powers. In Democratic party circles, 1914 was a big year in that Murphy supported a direct primary system for nomination to all state offices. Murphy did not want to entertain the idea of Hearst as the Democratic city mayor in 1917, but to avoid appearing as though he were against Hearst's nomination, Murphy approached the Brooklyn Democratic machine's John F. Hylan, who was also a friend of Hearst, to see if Hylan would run. The then Brooklyn Democratic Boss, John McCooey, according to a story, made a show of forcing Hylan on Murphy as the Democratic nominee that Murphy reluctantly accepted. Hearst withdrew from the race and the Democrats won the mayoral election. Murphy guided Al Smith to victory in the 1918 governor's election. Murphy was a delegate at the 1920 Democratic National Convention, and it was in part through his influence that James M. Cox secured the nomination. During his reign, Murphy brought Tammany Hall's political influence to the national level, specifically in 1924 when he and the Democratic Party were expected to nominate Alfred E. Smith for President (before his death, Murphy served as the manager of Smith's campaign effort). Murphy also influenced the elections of three New York City Mayors, three New York State Governors, and the impeachment of Governor William Sulzer. Governor Sulzer was propelled into office by Tammany Hall; however, during his tenure, Sulzer distanced himself from Tammany politics, refused to follow its orders, and supported general primaries. This angered both Tammany Hall and its boss, Murphy; with his help, the State Assembly voted to impeach Sulzer on counts of perjury and fraud. Murphy's involvement in the impeachment of a former Tammany member demonstrates his tenacity and fierceness as a political figure. Murphy once said, "It is the fate of political leaders to be reviled. If one is too thin skinned to stand it he should never take the job. History shows the better and more successful the organization and the leader the more bitter the attacks". Ed Flynn, a protégé of Murphy who became the boss in the Bronx, said Murphy always advised that politicians should have nothing to do with gambling or prostitution, and should steer clear of involvement with the police department or the school system. Murphy died suddenly of what the New York Times termed "acute indigestion," which affected his heart, on April 25, 1924, at his home in New York City. A Roman Catholic, he was given a funeral service at St. Patrick's Cathedral and was buried at Calvary Cemetery in New York. In the 1941 film Citizen Kane, screenwriters Herman J. Mankiewicz and Orson Welles based the character of political boss Jim Gettys on Charles F. Murphy. William Randolph Hearst and Murphy were political allies in 1902, when Hearst was elected to the U.S. House of Representatives, but the two fell out in 1905 when Hearst ran for mayor of New York City. Hearst was denied the election by a slim margin due to electoral fraud perpetrated by Murphy's organization, and his newspapers retaliated. A historic cartoon of Murphy in convict stripes appeared November 10, 1905, three days after the vote. The caption read, "Look out, Murphy! It's a Short Lockstep from Delmonico's to Sing Sing … Every honest voter in New York wants to see you in this costume." If I owned a newspaper and if I didn't like the way somebody else was doing things—some politician, say—I'd fight them with everything I had. Only I wouldn't show him in a convict suit with stripes—so his children could see the picture in the paper. Or his mother. As he pursues Gettys down the stairs, Kane threatens to send him to Sing Sing. ^ a b c d Chisholm, Hugh, ed. (1922). "Charles Francis Murphy" . Encyclopædia Britannica. 31 (12th ed.). London & New York. p. 1043. ^ a b c d e f g h i j k l m n Allbray, Nedda C. (1 February 2000). "Murphy, Charles Francis (1858-1924), Tammany Hall political boss". Oxford University Press. doi:10.1093/anb/9780198606697.article.0600462. ^ a b c d e f g h i j k l m Allen, Oliver E. (1993). The Tiger: The Rise and Fall of Tammany Hall. Addison-Wesley Publishing Company. pp. 207–231. ISBN 0-201-62463-X. ^ Teaford, Jon C. (1 February 2000). "Croker, Richard (1843-1922), New York City political leader". Oxford University Press. doi:10.1093/anb/9780198606697.article.0500160. ^ a b Lifflander, Matthew L. The Impeachment of Governor Sulzer: A Story of American Politics. Albany: State University of New York, 2012. Print. Lifflander, Matthew L. The Impeachment of Governor Sulzer: A Story of American Politics. Albany: State University of New York, 2012. Print. This page was last edited on 14 January 2019, at 03:29 (UTC).